The Strive to Thrive Lincoln class project seeks grant applications from organizations that empower Lincoln and Lancaster County families by connecting them to resources that help improve health or stability. 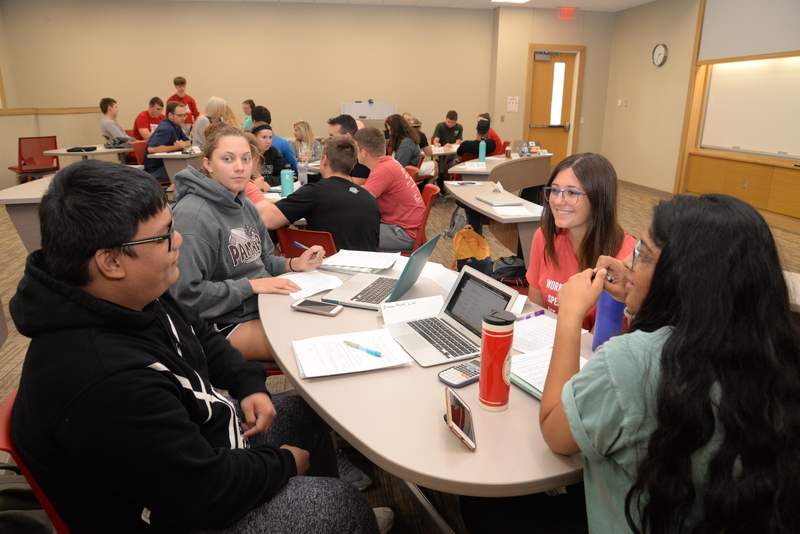 A management class in the University of Nebraska–Lincoln’s College of Business is accepting applications from local nonprofit organizations focused on empowering Lincoln and Lancaster County families by connecting them to resources that help improve health or stability. The organizations could receive as much as $10,000 in funding. The senior-level class, Leading People and Projects (Management 411), provides a funding opportunity for groups to make a positive difference in the Lincoln area as students gather knowledge of philanthropy. The project is known as Strive to Thrive Lincoln. Under the guidance of Amber Messersmith, lecturer in management at Nebraska, the class learns how to initiate a funding process, create a grant application, evaluate applications and make decisions on providing grants for community betterment. “This course is integral in our curriculum as it teaches our students the role of nonprofits in a community and the importance of giving back,” said Kathy Farrell, dean of the College of Business. A gift by Nebraska philanthropist and former newspaper publisher Rhonda Seacrest enabled the college to offer the grants this semester. Seacrest said she believes the class gives students a unique experience. Local nonprofit organizations can apply by 5 p.m. Feb. 22 for awards of at least $2,000, up to $10,000. Organizations must have 501(c)(3) status and propose a project consistent with their mission and the mission of Strive to Thrive Lincoln. Within the application, organizations must provide their most recent Form 990 and IRS letter, submit a spreadsheet outlining their organizational and project budgets, give brief descriptions of their organization and its relevant achievements, and outline the proposed project along with how it aligns with their mission and goals. 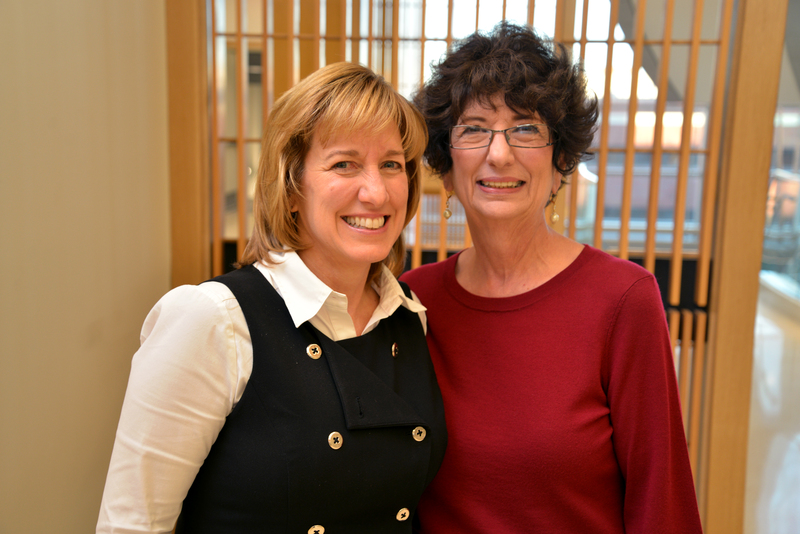 Grant recipients will be announced at a public reception April 17. Learn more about Strive to Thrive Lincoln and apply. 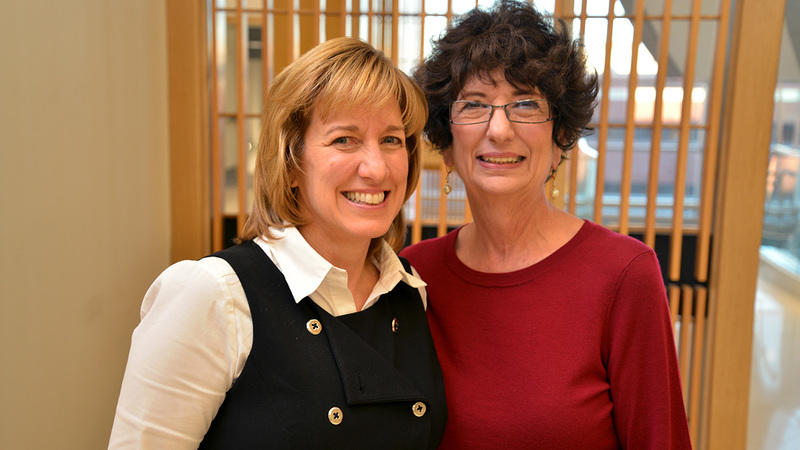 Local philanthropist Rhonda Seacrest (right), pictured with College of Business Dean Kathy Farrell, provided the funding for the Strive to Thrive Lincoln project this semester.